Broome is known for beaches, nature, museums, wildlife, and nightlife. Your plan includes some of its best attractions: kick back and relax at Cable Beach, make a trip to Broome Factory, meet the residents at Aqua Broome, and look for gifts at Uniquely Broome. 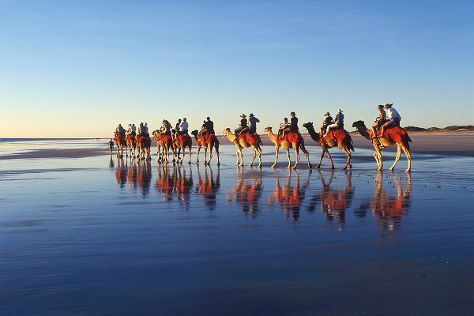 To find more things to do, photos, reviews, and tourist information, read Broome trip itinerary maker . Sydney to Broome is an approximately 7-hour flight. You can also drive; or do a combination of train and bus. Due to the time zone difference, you'll gain 2 hours traveling from Sydney to Broome. When traveling from Sydney in August, plan for warmer days in Broome, with highs around 36°C, while nights are a bit warmer with lows around 17°C. Finish your sightseeing early on the 29th (Wed) so you can travel to Albany. Explore Albany's surroundings by going to Greens Pool (in Denmark) and Bluff Knoll (in Stirling Range National Park). The adventure continues: examine the collection at National Anzac Centre, kick back and relax at Little Beach, tour the pleasant surroundings at Middleton Beach, and make a trip to Albany Wind Farm. To see where to stay, reviews, maps, and other tourist information, read our Albany day trip website . You can fly from Broome to Albany in 5.5 hours. Other options are to do a combination of flight, train, and bus; or drive. Traveling from Broome in August, you will find days in Albany are much colder (19°C), and nights are a bit cooler (7°C). Cap off your sightseeing on the 1st (Sat) early enough to go by car to Margaret River. Change things up with a short trip to Busselton Jetty in Busselton (about 34 minutes away). Spend the 2nd (Sun) on a tasty journey with a beer tour and tasting. There's still lots to do: indulge in some culinary diversions at a local gastronomic tour, Head underground at Lake Cave, and learn about winemaking at Brookwood Estate. 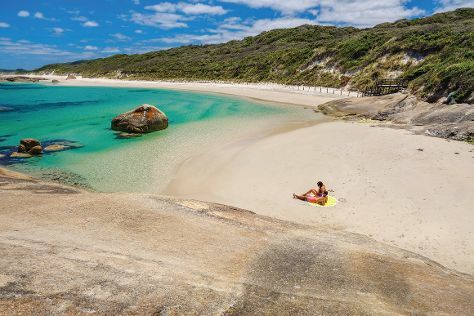 To find more things to do, where to stay, traveler tips, and other tourist information, read Margaret River tour planner . You can drive from Albany to Margaret River in 4.5 hours. Another option is to take a bus. Wrap up your sightseeing on the 4th (Tue) to allow time to drive to Cervantes. Cervantes is a town in Western Australia off Indian Ocean Drive about 198km north-north-west of the state capital, Perth in the Shire of Dandaragan local government area. 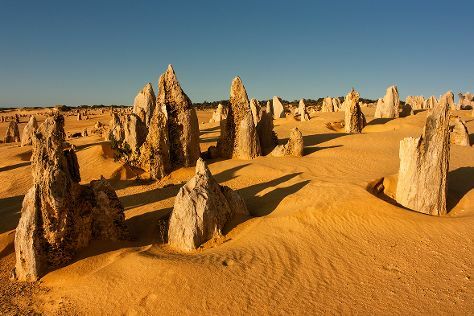 On the 5th (Wed), explore the activities along Lake Thetis, kick back and relax at Hangover Bay, and then explore the striking landscape at The Pinnacles. For more things to do, other places to visit, traveler tips, and tourist information, read Cervantes day trip planner. Traveling by car from Margaret River to Cervantes takes 5.5 hours. Alternatively, you can do a combination of bus and train; or take a bus. Finish your sightseeing early on the 5th (Wed) so you can drive to Perth. Explore the numerous day-trip ideas around Perth: Caversham Wildlife Park (in Whiteman), Fremantle (Fremantle Prison & Fremantle Markets) and Tyler's Vineyard (in Millendon). 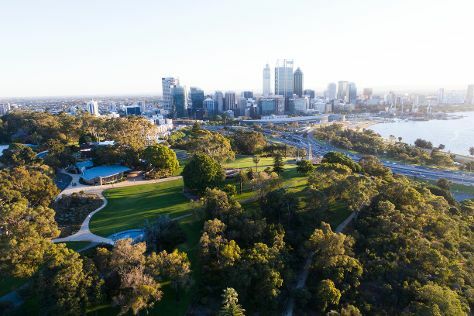 There's lots more to do: take in nature's colorful creations at Kings Park & Botanic Garden, contemplate the long history of The Perth Mint, enjoy the sand and surf at Cottesloe Beach, and snap pictures at Elizabeth Quay. To see traveler tips, photos, where to stay, and other tourist information, read Perth road trip planning app . You can drive from Cervantes to Perth in 2.5 hours. Another option is to take a bus. In September, daily temperatures in Perth can reach 24°C, while at night they dip to 9°C. Finish up your sightseeing early on the 8th (Sat) so you can travel to Exmouth. Exmouth is a town on the tip of the North West Cape in Western Australia. On the 9th (Sun), look for all kinds of wild species at Ningaloo Reef, then meet some fierce fish with a shark diving experience, and then view the masterpieces at The Ningaloo Gallery. Get ready for a full day of sightseeing on the 10th (Mon): don't miss a visit to Mildura Wreck, visit a coastal fixture at Vlamingh Head Lighthouse, and then kick back and relax at Turquoise Bay. To see maps, more things to do, and other tourist information, you can read our Exmouth online trip builder . Traveling by flight from Perth to Exmouth takes 5.5 hours. Alternatively, you can do a combination of flight and car; or drive. Expect somewhat warmer temperatures when traveling from Perth in September; daily highs in Exmouth reach 35°C and lows reach 15°C. You'll set off for home on the 11th (Tue).